The Lubavitcher Rebbe, Rabbi Menachem M Schneerson, (1902-1994), launched a campaign some forty years ago, to help needy Jews before the Holidays of Rosh HaShanah, Yom Kippur, Sukkot and Simchat Torah. The Rebbe emphasized how Jews are not only in need before Pesach, when the traditional Ma'ot Chitim Campaigns help the needy for all their Pesach expenses. In many ways, expenses for the many Holidays in the month of Tishrei, starting with the New Year, can be more steep, and more challenging for individuals and families scrambling to cover their basic needs. For this reason, Chabad of South Broward, in the last seven years, since the downturn in the economy, has taken a lead role in easing the burden for hundreds of people, by providing them with food, money and new clothing, before every Jewish Holiday. Maimonides writes that celebrating the Holidays without helping the poor celebrate their Holidays, is inconsistent with Judaism. Only when you help the less fortunate for their Holidays, can you truly fulfill the Mitzvah of observing your Holidays. 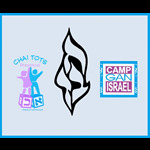 By donating $54, you can help a family with all their needs for one Jewish Holiday. By contributing $360, you will be helping a family for Rosh Hashanah, Erev Yom Kippur, Yom Kippur Break the Fast, Sukkot and Simchat Torah. A $3,600 gift will assist ten families, with all their Holiday needs. Your Tzedakah will buy a young boy or girl a new pair of shoes for Yom Tov. Your kindness will help a proud father, recently unemployed, to have an Etrog of his own, so that he is not humbled in the Synagogue for having to borrow a Lulav and Etrog for the very first time in his life. Your generosity will enable a young mother, balancing her dedication to her small children and her teaching jobs in two schools, to have the peace of mind that her Yom Tov meals will be arranged for her and her family. We thank you for joining our noble effort to help everyone in need who turns to us for help. May your Tzedakah in helping the needy for the New Year bring you and yours a beautiful Yom Tov, and an added blessing for a healthy, happy, sweet and prosperous New Year. To Contribute, please click here_______. Thank you. This form is safe and secure for credit card payments.